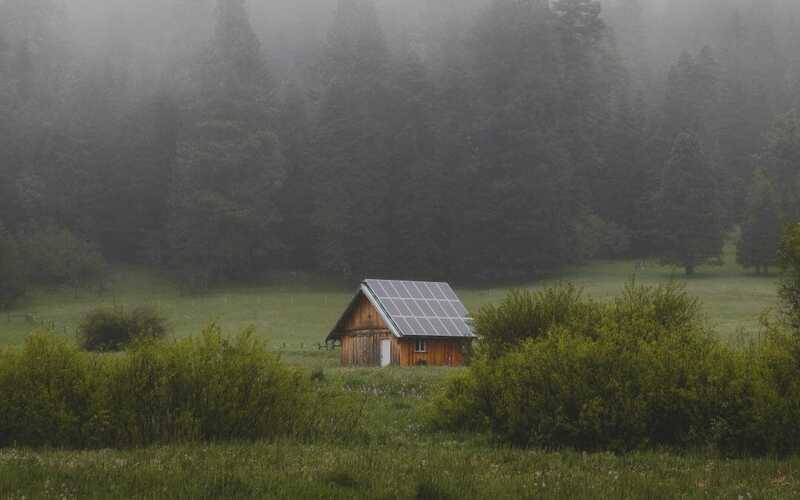 Living off the grid is more than having renewable sources of energy. It is more than harvesting rainwater. It is, above all, an eco-friendly lifestyle. As we explored in our article on energy efficiency, living off-grid takes certain products. You should not just buy new appliances or gadgets without considering how much energy they use. Some products such as the solar refrigerator listed below are made to run exclusively on solar power. You may be looking to ease into solar or wind power. We have you covered with a great solar kit that is easy to install and has a great value. Cooking always takes some forethought when living off the grid. Electric stoves take too much power and are not easily supported by a wind turbine or solar panels. One product we love is the solar oven. You may think a solar oven is just for camping or a cool kids science fair experiment. And they are – however, they are so much more. Solar ovens are very popular all over the world. In underdeveloped countries, they are lifesavers because they lessen the exposure to dangerous kerosene fumes often used for cooking. A solar oven can be used anywhere on a nice sunny day. They heat up extremely fast. Solar ovens are appropriate for all types of cooking including roasting meats, baking bread and making soups or stews. A quality solar oven such as the All American Sun Oven- The Ultimate Solar Appliance will be up to any baking task. This sturdy solar oven will reach temperatures of 360 to 400 Fahrenheit (approximately 180 to 205 Celsius) and can even be used to roast meats. This model is great because its larger size can accommodate standard size pans. You want to avoid models that can only take a small pan as they will limit what you can cook. Refrigeration may be the most necessary appliance you need when moving off grid. After all, you can always cook on a grill or open fire. But keeping foods cold is essential to our safety and health. That’s why we recommend investing in a quality refrigerator. Along with baking, refrigeration takes up a lot of energy. For most off griders that leaves two options: using propane or solar refrigerators. There are pros and cons to each system as you can see below. A propane refrigerator is very energy efficient and can easily keep food frozen. This Smad Gas Refrigerator Freezer Propane Fridge with Freezer is 9.3 Cu.Ft is very energy efficient and requires no electricity to run. However, it can run on 110 electric, but that would not be as efficient. At a cost of $1569, it averages $169 per cubic foot. Propane or natural gas refrigerators have a lower upfront cost then do straight solar ones. This model uses approximately 20 pounds of propane every two weeks. Propane refrigerators are quiet, self-contained and do not cause indoor air pollution. They also use no freon which is an environmental pollutant. Most propane fridges are duo usage and can also run on electric which gives you some flexibility. Propane refrigerators have few moving parts and last for a long time. It is common to see older models that are thirty plus years old. The biggest con of a propane refrigerator is that you are still using fossil fuel making it a not so eco-friendly solution. Although the initial cost of a propane refrigerator is lower than the solar ones, you still have to deal with the fuel cost over time. Last but not least, they do weigh a great deal which can make shipping and transportation more difficult. For comparison, we can look at a Solar Refrigerator. The Smad DC/AC Solar Refrigerator Double Doors with Freezer is 6.2 Cu ft (so slightly smaller than the propane model). At a cost of $1299, it averages @ $210 per cubic foot. Solar fridges are highly efficient. They are typically well insulated with quiet compressors. This model can be powered via solar or wind power directly (DC) or off battery power (AC). The catch with the solar refrigerator is that you must have solar panels already installed to run it. This model uses 65 watts so would need a comparable solar panel rising the initial cost. Now, the big advantage of the solar model is no monthly bill or fossil fuel usage. They also have good warranties and are very long lasting. No matter if you are starting out small or adding a few solar products to your home in case there is a power outage. These hanging solar lights are perfect for such use. These are great for providing light where and when you need a little extra: nature Power 21030 Hanging Solar Powered LED Shed Light with Remote Control, and a Black Finish. They are made for use in a shed or garage but are adequate to use in the home as well. The High-Quality Amorphous solar panel recharges using an included battery. These lights are easy to install by mounting the solar panel in a sunny location and drilling a hole to run the wiring through. These lights are not very bright but give enough quality light to cook a meal or see around the house. They can be comforting if you have a child who is afraid of the dark. Not recommended for reading unless you sit directly below the light. If you are looking for a system to get you started in solar energy but is easy to install. A solar kit can help you get started with solar energy and can power a tremendous amount of things. The KISAE Technology HS400-00 Is a complete Home Solar 400 Watt kit. It is self-contained, so the inverter and the battery are all in a box together. This plug and play system makes it easy to install and easy to use. You could easily power lights and the weather radio during a storm or power outage. It would also charge your cell phone and laptop. This kit also makes an accessible introduction to solar power. Do you want to switch over one area of your house? Depending on your equipment you could power your home office with this product. Laptop, printer and desk lamp can all run on under 40 watts as long as you have energy efficient models. Did you like this post? Please leave us a comment below and take a look at other great articles that we have selected for you!